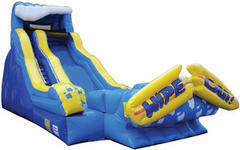 Water Slide Rentals are a great way to beat the heat and cool off on a hot day! 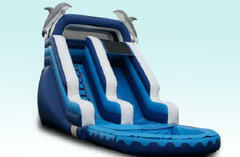 These inflatable water slide rentals are great for any age, and come in all shapes, sizes, and colors. 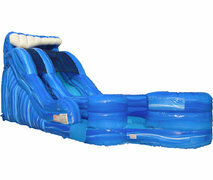 However, if you are looking for an inflatable slide without the water experience visit our Dry Slides page for more info. 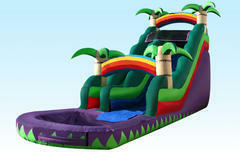 We are a full service party rental company. We deliver, set-up, and pick up for a hassle free experience! 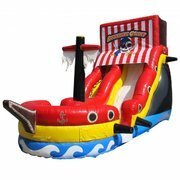 A full day is 6-8 hours, and we will deliver your water slide at least 1 hour before your party, and up to 5 hours before depending on the days schedule. We will call to confirm your Reservation the day before, and give you a delivery window. 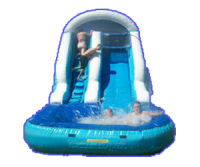 We pride ourselves in excellent customer service and offering the Largest Water Slide Rentals selection for each of our clients! We work Hard to make sure each eventor party is one to remember. We want eachof our customers to experience a smooth rental experience from Beginning to End. 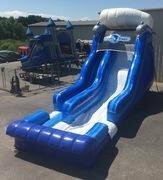 We have a large range of water slides to satisfy any of our customers needs, and each of our water slide and Bounce house units are cleaned after each event to ensure safety. 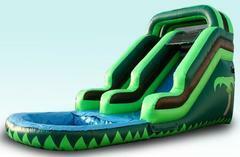 We are also fully insured and approved by the County schools and parks for a worry free rental experience. 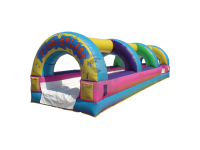 Each member of our delivery team are thouroughly trained, so your set-up and take-down of your Inflatable rental is a breeze! We have been in business since 2006, and we are proud to continue to serve Hillsborough county. Order online or give us a call today! 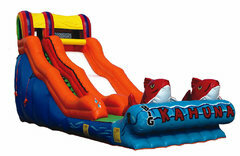 We offer Water Slide rentals, bounce house rentals and many other bouncy house units. We are located in Brandon, Florida. We also Service all Of Hillsborough County, if youre unsure just give us a call we are happy to help. Delivery fees may apply in some areas, they are based on zip code and distance from our warehouse. Give us a call at 813-404-6744 or get a quote online.